20th Century Type Coins. Radio Play For Two Characters. 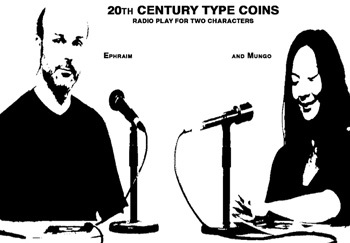 20th Century Type Coins is a radio play about two characters hoarding coins. The first- Ephraim, is a scholar, an empiricist and a diligent coin collector. The other character- Mungo, is impetuous, anti-authoritarian and a survivalist. The two characters compare sorting reports and tactics for acquiring coins based on their value as raw material. They talk about metallurgy and the implications of federal control apparatus. Through their conversation they reveal a culture of exchange in which physical and symbolic values are fluid and recombinant, in which the rigid contingencies of currency and valuation are constantly open for negotiation. The play is formatted here as an animatic video- a roughly animated storyboard. 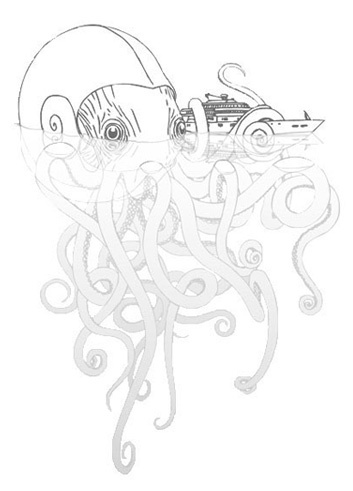 But it can take various forms for presentation and distribution; it can be performed as a radio play with actors or re-formatted as a graphic novel for print. Click here to see contribution.